Power cord not included. Cables or power cords are free from breaks or tears. We will help to resolve any issues quickly and fairly. Unit is not missing parts ( Power cord not included.). This item is in good condition and fully functional with only minor blemishes from normal use. Model Number: HY105. Manufacturer DELL. The unit underwent full testing, and passed tests for key functions. It is R2/Reasdy for Resale. We will be happy to assist you. Tested for key functions, R2/Ready for Resale. We will respond promptly to your inquiry. ITEM IS USED AND IN GOOD CONDITION. ITEM WAS PULLED FROM A WORKING SYSTEM. Pulled from working units. Fully functioning. Dell PowerEdge 1950 Power Supply Unit HY104 D9761 HY105 MY064. The above specifications, logos and Trademarks are the property of their respective owners. Power Output: 670W. Perfect for maintaining or repairing your current fleet. Output: 12V - 54.4A / 3.3VSB - 5.25A. SEVERAL PART NUMBERS ON HAND: MY064 D9761 HY104 NP679 UX459. We are not always familiar with the use of each item. OUR DELL SERVERS CAN BE CUSTOMIZED TO FIT YOUR NEEDS AND BUDGET. We specialize in Dell servers and parts. Includes power cord. Cables or power cords are free from breaks or tears. We will help to resolve any issues quickly and fairly. This item is in good condition and fully functional with only minor blemishes from normal use. Dell PowerEdge 1950 Server PSU HY105 670W Power Supply D670P-SO, NEW? 5 out of 5 stars - Dell PowerEdge 1950 Server PSU HY105 670W Power Supply D670P-SO, NEW? 1 product rating1 product ratings - Dell PowerEdge 1950 Server PSU HY105 670W Power Supply D670P-SO, NEW? 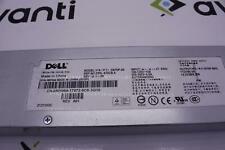 Manufacturer: Dell Part Number: HY105 Warranty: 6 Months Shipping: Free Fed Ex ground or USPS shipping. Power supplies are in good working conditions. This item passes all our technical tests. Orginal photos. Used, tested working in order. No International, including. No P.O. Box, Guam, Puerto Rico, AFO. 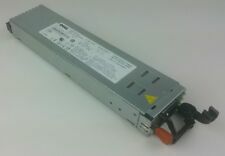 Dell PowerEdge 1950 670w Redundant Power Supply 7001080-Y000 UJ494 0UJ494 Brand: Dell Part Number: UJ494 MPN: 0UJ494, CN-0UJ494 Model: 7001080-Y000 Type: Redundant Power Supply INPUT & OUTPUT: Input: 100-240v~ Max.Output: 670w Frequency: 50-60Hz 8.3A COMPATIBILITY: compatible Product Line: PowerEdge Compatible Model: Dell PowerEdge 1950 Condition: New This item will be Shipped exactly as shown in the picture. Part Number: MY064. Dell PowerEdge™ is a trademark of Dell Inc. HP™ is a trademark of HP Inc. PowerEdge™ is a trademark of Dell Inc. HP Proliant™ is a trademark of HP Inc. Dell™ is a trademark of Dell Inc.
We will respond promptly to your inquiry. Item is used and in a good working condition. Item was pulled from a working system. Perfect for maintaining or repairing your current fleet. Power Output: 700W. Output: 12V - 57.3A / 3.3VSB - 5.2A.